Sometimes it’s the little things that make a great holiday. Not just the beaches, tavernas and ancient sites – but unexpected wildlife, interesting people and cultural quirks. Cyprus is full of these little surprises – which is why I’ve put together a list of 20 more reasons to visit the island. On this page: unbeaten tracks, the sea in October, some endearing misspellings, mysterious ancient tombs, and very cool goats. It’s very easy to get lost in Cyprus. You don’t have to go very far inland before it’s possible to find yourself on a labyrinthine network of dirt tracks – which are heaven for mountain bikers, 4×4 enthusiasts and walkers. They’re also very much the haunt of Cypriot farmers and (on Wednesdays and Sundays in winter) hunters, whose multicoloured shell cartridges can be found abandoned on just about every out-of-the-way spot in the country. 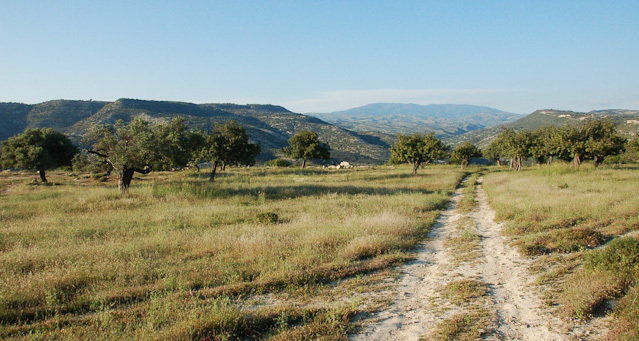 The picture above was taken from the edge of the Chapotami valley – north of Anoyira, the village where I lived for three years – looking up to the Troodos mountains in the distance. In spring and autumn, I used to walk on the tracks around the village nearly every day. In winter, you can see the snow on the top of the highest peaks from the valley below. It’s not everyone’s idea of what you expect to find on holiday in Cyprus, but it gives you an idea of the limitless beauty of the place. 17: Warm sea in October. Here’s a thing most people don’t realise about Cyprus: when the rest of Europe (even Greece) has packed up its swimming costume and gone indoors with its jumper on, in Cyprus you can still happily head to the beach – and swim in sea that’s been warmed for many months by the summer sun. There are no guarantees, of course, but if I were travelling to Cyprus any time until mid- to late October, I would be hopeful of being able to swim most days. And if I were travelling in early November, I would still pack my cossie just in case – though by November, the chance of heavy rain increases. Summer tends to “break” in late October or early November, with a few days of storms – much later than in the rest of Europe. The picture of Aphrodite’s Rock, above, by the way, wasn’t taken in October. It was taken in April! This isn’t meant as a criticism of the Cyprus tourist authorities – after all, my Greek spelling leaves much to be desired – but the number of English misspellings you’ll see on the signs around the island is endearingly high. There are two main groups of misspellings. The first is confusion over vowels – the Greek ear, used to a limited range of vowel sounds, has trouble distinguishing between English words such as “cap” and “cup”, for example. 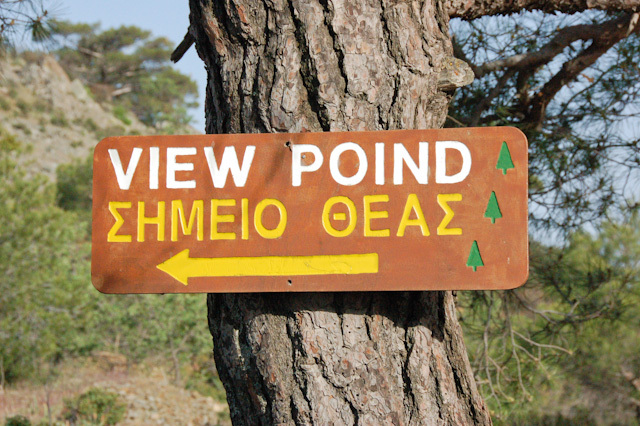 The second, illustrated above, is the “soft consonant” error, by which “d” is confused with “t” and “g” with “k”; these errors are also responsible for the wonderful sign near Pissouri which guides visitors to an “Ancient Water Dang”. It’s part of the furniture of the area, in a way. Blame pop culture if you must, but there’s a strange pleasure to be had in scrambling around the remains of ancient tombs. In Cyprus, the best known place to do that is at the Tombs of the Kings (pictured) in Paphos – and I’d strongly recommend you pay a visit, especially if you visit betwen September and June, when the heat is not so overwhelming. 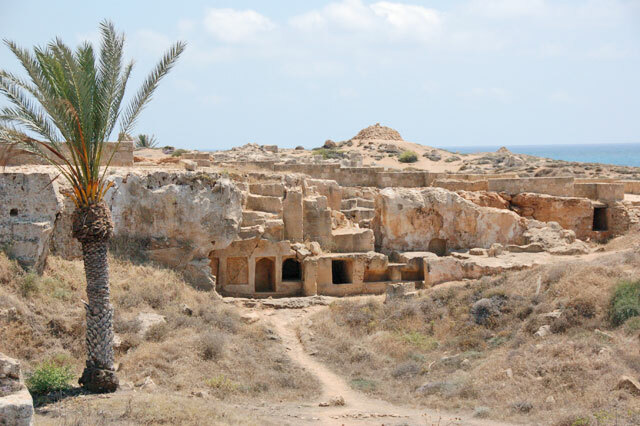 Yet in fact, there are ancient burial sites all over Cyprus, from Tamassos to Curium to Paphos – so many, in fact, that countless tombs have been lost to archaeology, because they have been raided by tomb robbers both local and foreign in the centuries since antiquity. Not surprisingly, myths about secret treasure abound in Cyprus. In St Hilarion, a shepherd is said to have found a secret room full of riches; in Famagusta, the mouth of a stone lion opens once a year, upon which a treasure may be plucked from its mouth; in Anoyira, the “Rigaina” or “Queen” of Cyprus, sometimes associated with Aphrodite but also with real-life medieval queens, buries her wealth in her son’s tomb as she grieves. That treasure, needless to say, has never been found. Back in the real world, though, archaeological discoveries continue to be made. The tombs at Tamassos, in the Nicosia region, are some of the best restored on the island: a group of huge, stone sphinxes was found during the restoration work, and are now in the Cyprus Museum. 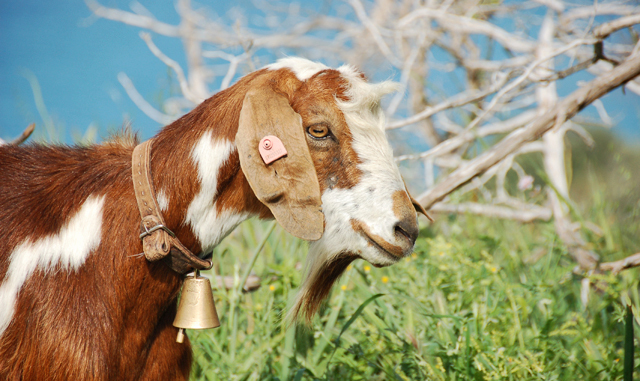 Goats are everywhere in the Cyprus countryside – and in my opinion, they are very cool. You hear their bells clanking every time you head out into the hills, often accompanied by the whistle of a goatherd, indecipherable to all but the select few. 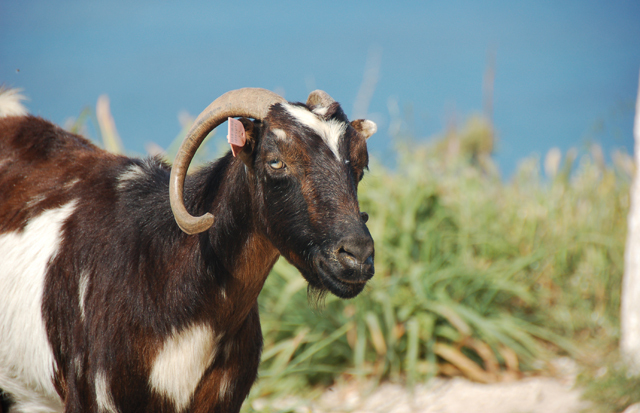 Periodically a troop of the creatures (yes, technically a herd, but I love the way goats walk in a narrow line, like troops) will come across your path, bleating and farting and occasionally stopping to stand on their hind legs for a nibble on something in a tree. Despite being light on their feet, they also run in a wonderfully silly way. Personally, though, I love the long-suffering expressions on their faces. This one looks like it’s had its photo taken once too often. But it also happens to be standing in the Akamas peninsula on a spring day, so maybe it should lighten up. Islebright Books is delighted to announce that its Cyprus travel guide – the Kindle ebook 250 Things to Do in Cyprus on a Sunny Day* – is now for sale at Amazon.co.uk. The book is the culmination of years of experience of living and travelling in Cyprus – and is written out of a genuine love for the island and its people. 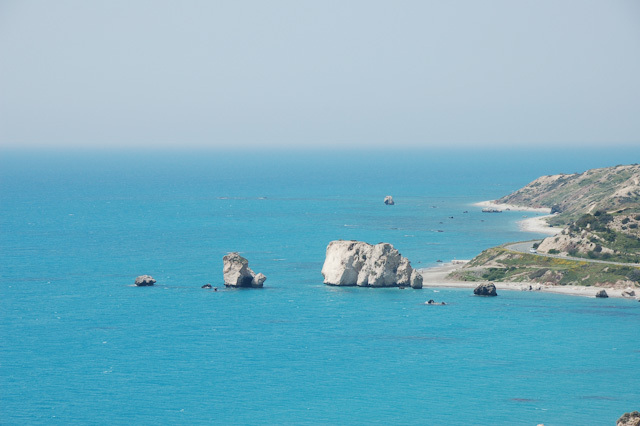 It includes things to do in every corner of Cyprus, from beaches to ancient sites – and also has recommendations for things to do anywhere you happen to be, such as walking, spotting wildlife or sampling the best of Cypriot food and drink. So buy it now, discover something new about Cyprus … and start planning your next trip! Hello and welcome to Islebright Books & eBooks. Islebright is a small-scale, high-quality publisher with a focus on island travel and how-to guides. 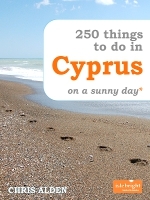 Its first book is 250 Things to Do in Cyprus on a Sunny Day* – a travel guide book for the perfect Cyprus holiday, to be launched in July 2012. Check back for more info on the launch from July 2012.